Here are some valuable tips and tricks to help with your area rug urine odor removal. Take caution when utilizing these DIY home remedies for urine odor removal area rugs, as the improper application can damage natural fibers. Call a professional today if needing assistance. urine stain. 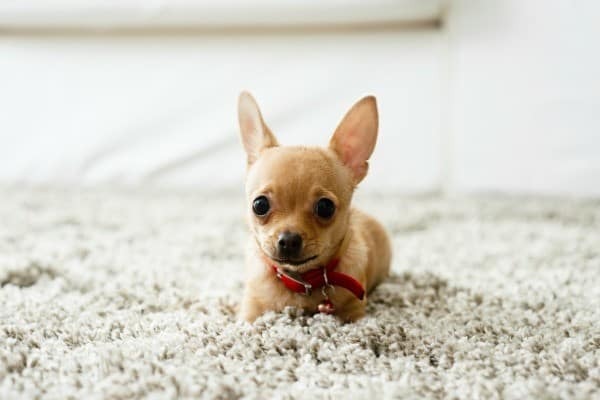 This incredibly common issue that most rug owners who also have in home pets face can be frustrating, as well as detrimental for your nice in home rug. 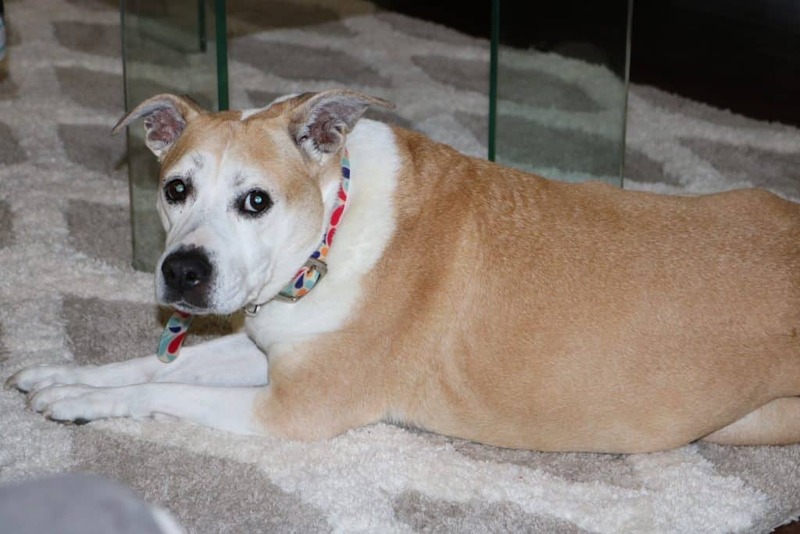 We wanted to provide a bit of information about this all too common area rug issue with hopes that when you come across a pet urine spot on your oriental rug, you will have the proper information on hand so that you can treat it promptly and properly. When you discover the unwelcome urine spot on your in home area rug, you will want to act very quickly. 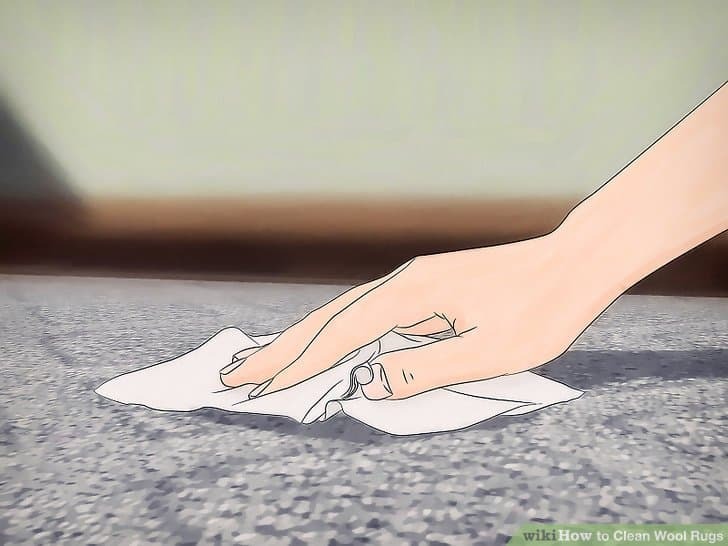 As mentioned earlier, if you find the urine spot just after it happened, you will have the best chance at cleaning most of it up and preventing permanent damage to the fibers, in the form of a stain. Urine can often begin to damage the fibers in your rug almost immediately. If you were able to clean the urine up quickly enough and avoid permanent staining, you would have cleared a huge hurdle. Even with a highly effective professional cleaning service, the staining caused by urine may not be able to be completely removed. Time is always of the most importance when cleaning up a urine mess! To treat your freshly discovered present left by your pet (urine spot) yourself, you only need some basic household items. 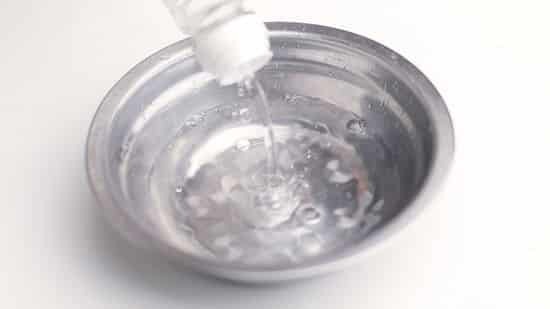 A few clean cloths, a bowl, cool water, distilled white vinegar and some dish soap is all you need for a safe and effective in home treatment before calling the professionals. 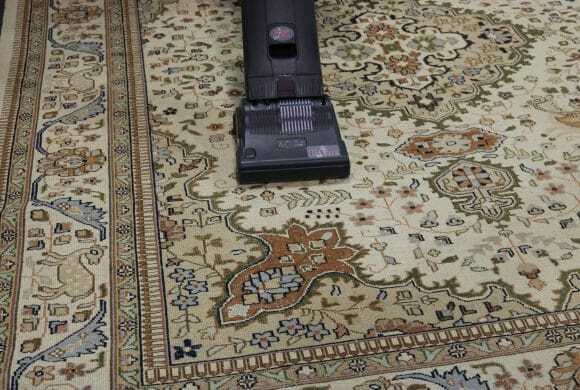 much of the urine from your rug as possible with this step, you will want to repeat this process a few times using room temperature water, with no additives. Just using some water will help to dilute the homemade solution that remains in the fibers of your rug and remove the last remnants. After it seems that you have removed as much urine, as well as the solution, as possible, you can then go about dabbing and blotting the remaining moisture up until it is as dry as it can get. breaking down the salts and crystals left behind by the urine, then the flushing process forces them from within the weaves of your rug. 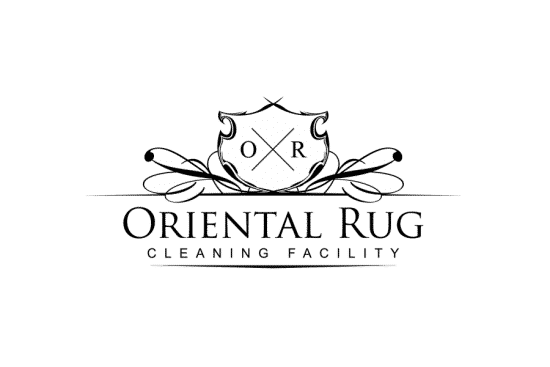 This process takes hours and once complete, your rug will then be placed on our custom wash floor where the full immersion wash will take place. This urine removal treatment is so effective, that complete odor removal is GUARANTEED! 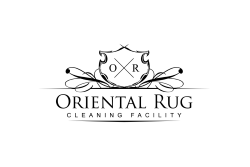 Give our office a call today at 813-344-5112 or check out some information on our website OrientalRugCleaningCo.com for more information!